William R. Evanina of Pennsylvania has been nominated by President Trump to be the first Senate-confirmed Director of the National Counterintelligence and Security Center (NCSC). Mr. Evanina has served as the Director of NCSC within the Office of the Director of National Intelligence since June 2, 2014. In this position, he is the head of Counterintelligence (CI) for the U.S. Government and is the principal CI and security advisor to the Director of National Intelligence. Mr. Evanina is responsible for leading and supporting the CI and security activities of the US Intelligence Community, the U.S. Government, and U.S. private sector entities at risk from intelligence collection or attack by foreign adversaries. Under NCSC, he oversees national-level programs and activities such as the National Insider Threat Task Force; personnel security and background investigations; continuous evaluation; information technology protection standards and compliance; CI cyber operations; supply chain risk management; threat awareness to sectors of the US critical infrastructure; national-level damage assessments from espionage or unauthorized disclosures, CI mission management, and national CI and security training programs. Under Mr. Evanina’s leadership, NCSC produced the President’s National Counterintelligence Strategy of the United States of America 2016, which has been instrumental in raising foreign intelligence threat awareness, and closing critical CI and security gaps in Executive Branch departments and agencies. The Strategy was enhanced by a highly visible national outreach campaign “Know the Risk, Raise your Shield,” raising public awareness of the threats posed by foreign intelligence services. Mr. Evanina chairs the National Counterintelligence Policy Board, and the Allied Security and CI Forum of senior CI and security leaders from Australia, Canada, New Zealand, and the UK. His expertise sought by the White House, Congressional officials, Executive Branch officials, and private sector executives. In January 2015, Mr. Evanina addressed NATO on worldwide CI threats. 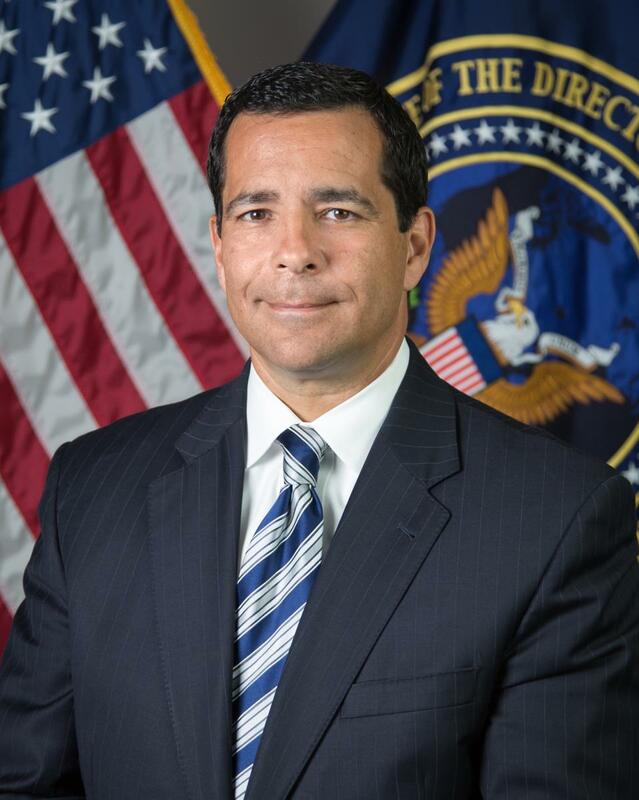 Prior to his selection as the Director of NCSC, Mr. Evanina served as the Chief of the Central Intelligence Agency’s Counterespionage Group where he led Intelligence Community agencies in identifying, preventing, and neutralizing espionage-related activities by foreign intelligence services. In 2013, Mr. Evanina was appointed to the Senior Executive Service. In 2011, he was promoted to Assistant Special Agent in Charge of the FBI’s Washington Field Office, where he led operations in both the Counterintelligence and Counterterrorism Divisions. In 2010, Mr. Evanina served as Special Assistant in the FBI’s National Security Branch where he was responsible for overseeing policy formulation, training, and finance. In 2006, Mr. Evanina was promoted to Senior Supervisory Special Agent of the FBI’s Trenton, New Jersey Resident Agency. Following this assignment, he was selected to be the Assistant Section Chief of the Counterintelligence Division at the FBI Headquarters in 2009. Mr. Evanina has over 23 years of distinguished federal service, 20 of which as sa Special Agent with the Federal Bureau of Investigation (FBI). At the start of his law enforcement career in 1996, he investigated organized crime and violent crimes through the FBI’s Newark Field Office. He then served on an FBI SWAT unit for 10 years, ultimately supervising this unit. He led some of the highest profile terrorism investigations in our nation’s history including the 9/11 attacks, the anthrax attacks, and the Daniel Pearl kidnapping. During his tenure with the FBI’s Joint Terrorism Task Force (JTTF), Mr. Evanina was selected as a Supervisory Special Agent and received the FBI Director’s Award for Excellence for his leadership in the investigation into convicted spy Leandro Argoncillo. Mr. Evanina’s government career began in 1989 as a Project Manager with the General Services Administration, in Philadelphia. Mr. Evanina was born and raised in Peckville, PA. He holds a Bachelor’s Degree in Public Administration from Wilkes University in Wilkes Barre, PA, and a Master’s Degree in Educational Leadership from Arcadia University in Philadelphia. Mr. Evanina is married and has two children.